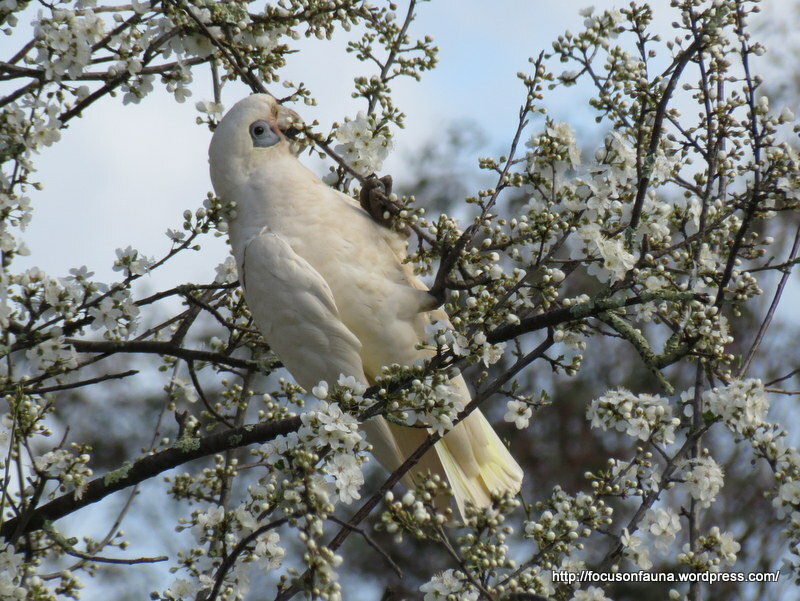 The lone corella pictured at left turned up in a nearby flowering Cherry Plum tree the other day, and immediately caught our eye because it’s a Little Corella. The predominant corella in the Strath Creek area seems to be the Long-billed Corella which is instantly recognisable (if close enough) by the red colouring on its face and neck, the latter giving the impression that its throat has been cut (see below)! Despite its name, the Little Corella is only a couple of centimeters shorter than the Long-billed, so size is not a reliable means of differentiating between the two species. The calls of the two species are also, to the untrained ear, indistinguishable. One difference, however, apart from the length of the bill, is that the Little Corella has a white crest that may be raised, though not in our picture here. But don’t worry if you can’t identify those corellas flying past – you’re not alone – BirdLife Australia even has a special category, ‘Corella species’ for recording unidentified corellas in its database. From memory, corellas first started appearing in this district in the mid-1990s, initially just an occasional one or two often mixed in with flocks of Sulphur-crested Cockatoos, then gradually building up numbers until quite large flocks are now a common sight. Presumably this was in response to more farmers feeding out grain and resowing paddocks, particularly in the drought years. The heart of Long-billed Corella territory is Victoria’s western district, whereas the Little Corella is a bird found over much of inland Australia and the north and west of Western Australia. 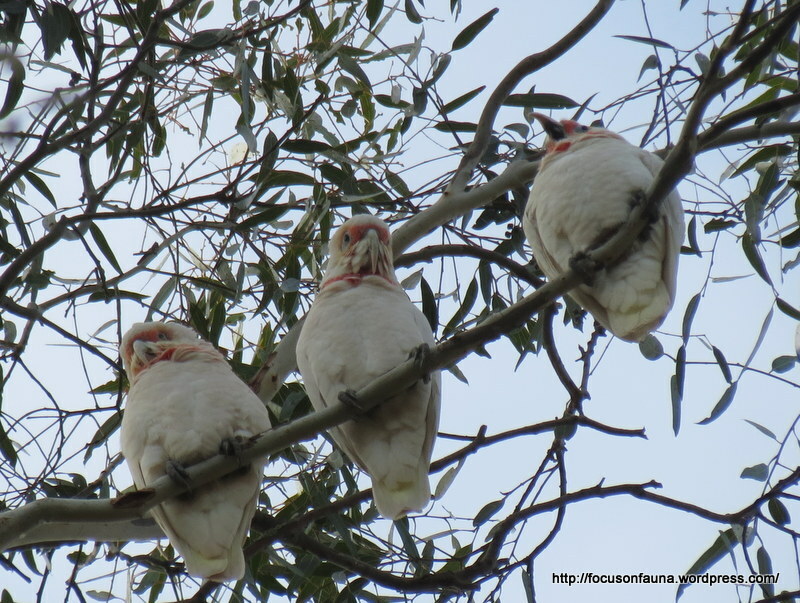 Click on the audio bar below to hear calls of what we think were Long-billed Corellas.